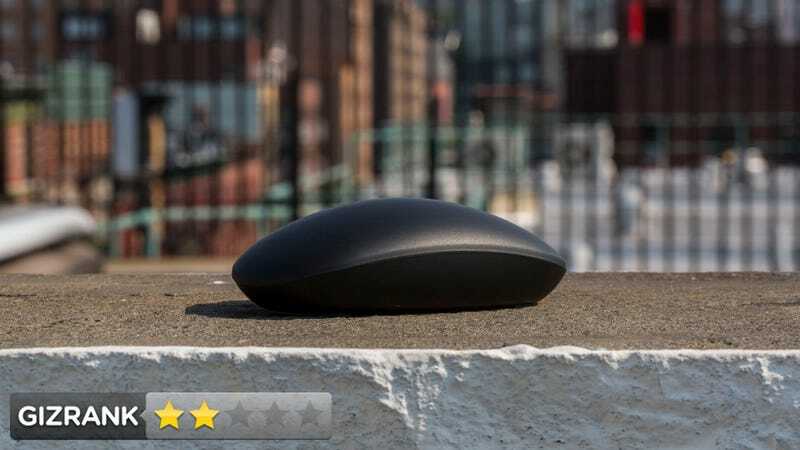 Manhattan Products Stealth Touch Mouse Review: Where's the Button? The mouse has endured as a simple, functional, uncomplicated gadget. Then, along comes this new mouse with no buttons—so is it even simpler and better, or just confusing and mysterious? This is the point at which mouse minimalism gets extreme. A mouse that uses a touchscreen interface instead of physical buttons. People who want a little something different out of a mouse. People who hate clicking for some reason? Sleek, solid black finish. No button creases. Small. Maybe too small. The three-button functionality lies beneath the touchscreen. It works the same way the normal buttons do, you just don't hear or feel anything. Never having to excavate built-up finger grease from between the buttons. If you touch any part of the mouse, you hit a button. So you hover, constantly. It's exhausting. Highlighting text by clicking and scrolling just doesn't seem to work with this mouse. Without buttons or distinguishing graphics, it's hard to tell which part of the mouse is the top. You have to look at its belly to figure it out. The two AAA batteries insert vertically instead of horizontally. Without a visibly defined button border, you sometimes click the middle scroll button when you meant to click one of the other buttons. Really frustrating. A built-in crevice stores that mini-USB dongle you plug into your computer. Nice touch.